Cherries, Blueberries, Apricots, Cranberries & Apples Covered In Milk & White Chocolate. 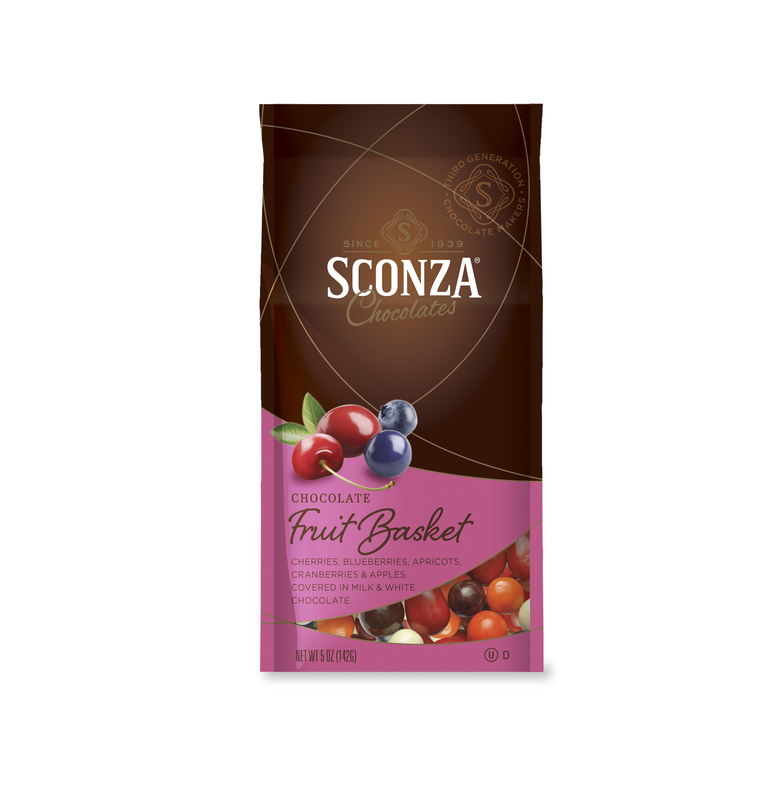 Indulge in the luscious flavors and textures of smooth, rich chocolate and dried fruit. Cherries, Blueberries, Apricots, Cranberries & Apples Covered In Milk & White Chocolate in a 5oz Bag. Ingredients: Milk chocolate (sugar, cocoa butter, chocolate liquor, whole milk powder, soy lecithin [an emulsifier], natural vanilla flavor), white chocolate (sugar, cocoa butter, whole milk powder, soy lecithin [an emulsifier], natural vanilla flavor), dried cranberries (cranberries, sugar, sunflower oil), dried apples (apples, sugar), dried blueberries (blueberries, sugar, sunflower oil), dried cherries (cherries, sugar, sunflower oil), dried apricots (apricots, rice flour, sulfur dioxide), color added (red 40 lake, yellow 6 lake, blue 2 lake, red 3, titanium dioxide), tapioca dextrin, natural & artificial flavor, confectioners glaze. 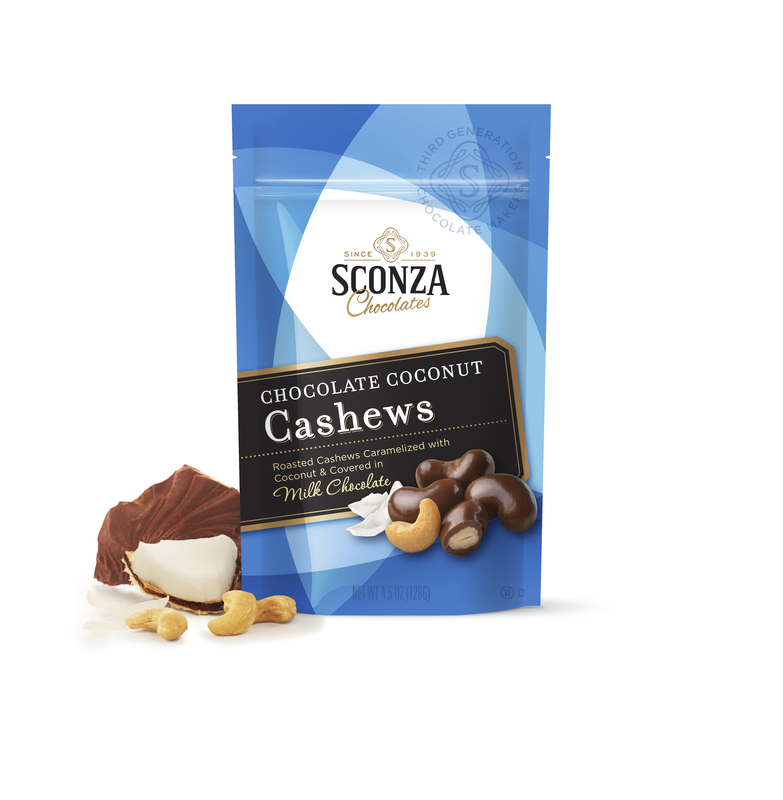 Made on shared equipment with peanuts, tree nuts, sesame seeds, egg and wheat-containing products. May contain cherry pits. I never thought I would be a fan of these, but they surprise me every time! The tender dried fruit and the chocolate pair beautifully!